This project will use a rigorous experimental approach to implement and test the impact of anti-corruption behavioural interventions aimed at addressing bribery and favouritism in the Tanzanian health sector. The project builds on the findings of a previous DFID-funded research project “Corruption, Social Norms and Behaviours in East Africa” that detailed the crucial role played by informal social networks and social norms of reciprocity in driving corrupt behaviours in the Tanzanian health sector. 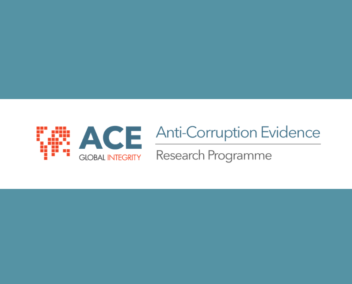 Based on this research, the central hypothesis of our study is that, although social networks have been identified as fuelling and perpetuating practices of petty corruption, they can also be harnessed to promote positive anti-corruption behaviours. Specifically, we propose using “Governance Clubs” and their community opinion leaders to deliver behavioural interventions that have shown promise elsewhere but have often lacked the right delivery mechanism to robustly test their effectiveness at scale. To learn more about this project contact Principal Investigator Claudia Baez Camargo at the Basel Institute on Governance, Switzerland at claudia.baez-camargo[at]baselgovernance.org.